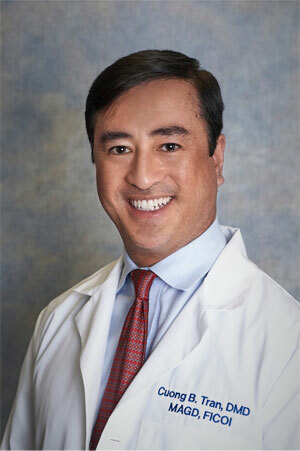 Dr. Tran is a 1996 Graduate of The University of Pittsburgh School of Dental Medicine. He is an active member of the American Dental Association(ADA), Academy of General Dentistry(AGD,PAGD,LVDA), International Association For Orthodontics(IAO), International Congress of Oral Implantologists(ICOI). He is very dedicated to his profession for the benefit of his patients and has attained Mastership status in the AGD (requires 1000+ continuing education credits and an exam) and Fellowship status in the ICOI (requires 100+ continuing education credits and 50+ implant cases) and continues to attend continuing education to stay current with most modern dental concept s and techniques. Dr. Tran escaped from Vietnam in 1975 shortly before the war ended and has lived in the Lehigh Valley ever since. He attended Allentown Central Catholic High School and Muhlenberg College before dental school. In his free time, he enjoys golfing, outdoor sports and spending time with his wife and their three young children.